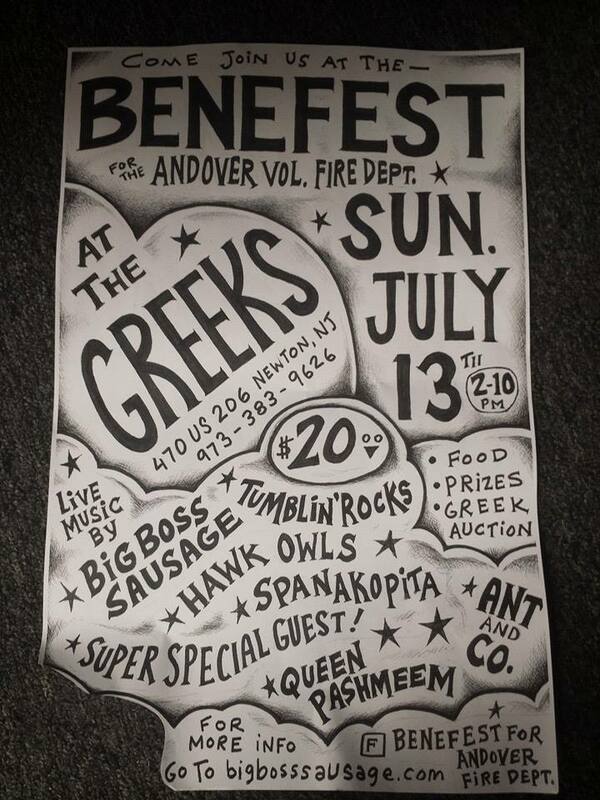 ANDOVER TOWNSHIP – On Sunday, July 13th, The Greek’s in Andover, NJ, will host a very special indoor/ outdoor benefit concert for the Andover Township Fire Department. The ‘Benefest’ will feature some of the area’s most popular musical talents. 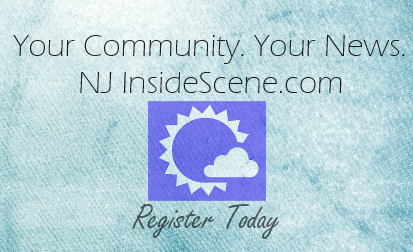 The show will include food, prizes, local vendors, and the premier of a ‘Greek Auction’. The live music will be an eclectic mix of styles and sounds. The Tumblin’ Rocks, a Rolling Stones tribute band, replicates the fidelity and energy of the world famous rock group. ‘Mark’ Jagger, lead singer of the band, has all the moves, and an uncanny resemblance to a young Mick Jagger. The Hawk Owls will toss up a good ole heap of hometown bluegrass, complete with finesse and multiple sweet harmonies. Spanakopita’s front man plays the bouzouki, a Greek bowl-shaped twangy-like guitar. The band’s soul infused rock rhythm often gets the crowd on its feet. Qween Pashmeen is a swanky, husband and wife duo. They belt out sultry pop tunes and funky R&B. Ant & Co. features super groovy front man Anthony, and whatever hip musicians he can find to keep up with his razzmatazz, free-style shaky shakin’. Big Boss Sausage will once again bring along their strain of high-energy audile gusto. Super special guests will also be performing throughout the event.